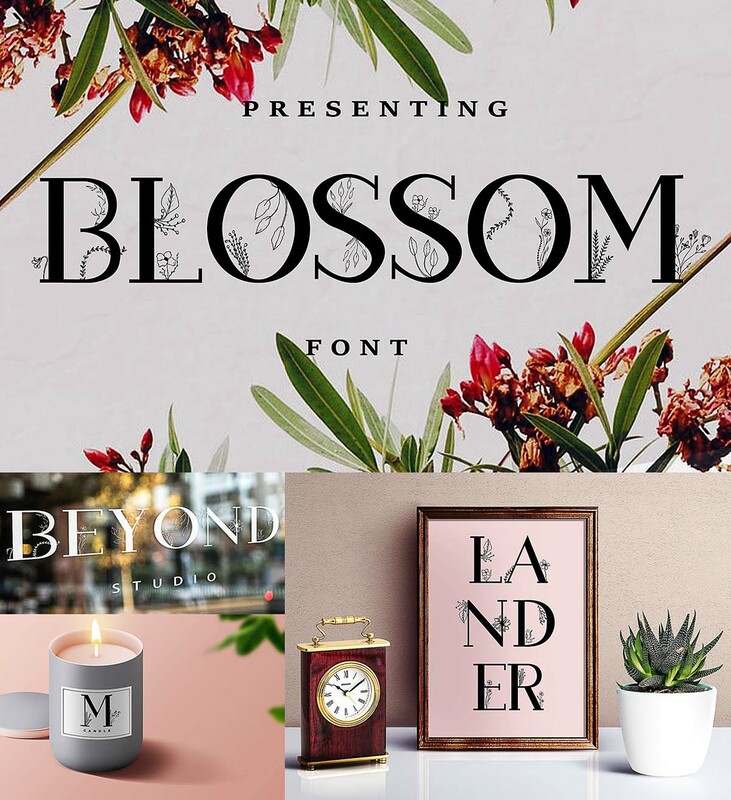 Introducing a slab serif floral font – Blossom, packed with lots of extras – hand-drawn & digitized floral elements, ” blooming ” letters & more! All elements and illustrations comes in vector png & eps format , ready to be used! File format: .eps, .png, .woff, .woff2, .otf for Photoshop or other software. 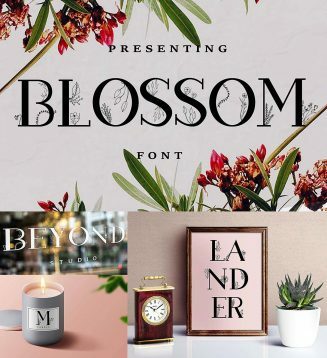 Tags: alphabet, blooming, custom font, decorative font, floral font, floral letter, lettering, logo font, monogram font, serif font, website font.